Paul Gravett's overview of Asian comics is groundbreaking in its scope and laudable for its passion, but unfortunately the book itself has significant flaws. 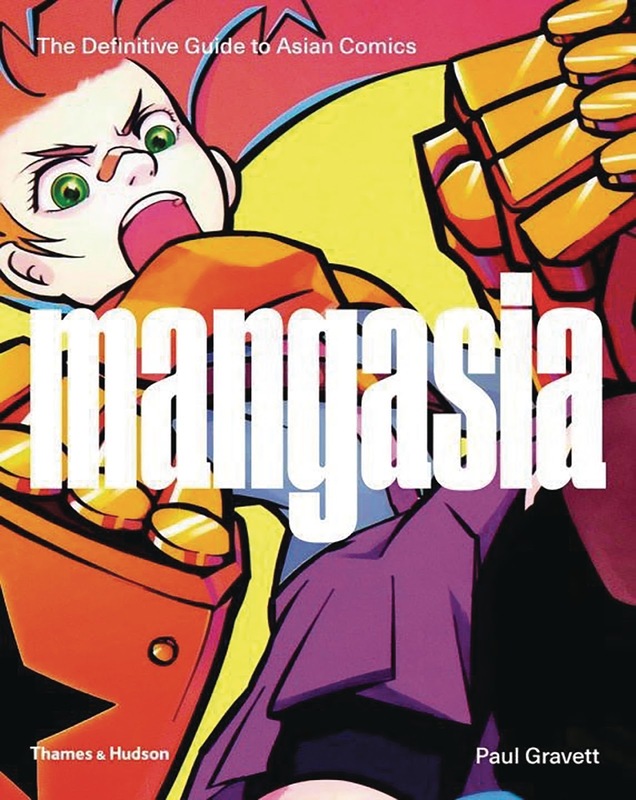 The first thing to say about Mangasia is that it truly covers Asia, not just Japan with some kind of "oh, also there are comics in Korea" commentary, as is the case with the otherwise excellent Comics: A Global History. The book looks at nineteen localities, drawing his borders north of Mongolia and west of India and China, while The Philippines and Indonesia serve as the book's southeastern-most representatives. Gravett, as always, demonstrates a deep love for the subject at hand, as well as a commitment to being both scholarly and accessible in presenting the history and significance of this underappreciated body of work. Unfortunately I was lost and struggling to varying degrees from start to finish. The writing itself is clear and always enlightening, but it is organized and presented in a way that often left me thinking, "wait, what are we talking about now?" The book is broken down into interesting themes -- Fables and Folklore, Recreating and Revising the Past, Stories and Storytellers, Censorship and Sensibility, and Multimedia Mangasia -- but the many pages of artwork and photographs after each essay never seem completely relevant to what was just described. Sometimes the (beautifully!) reproduced comics pages and other images are given descriptive captions that clarify the connection and otherwise enlighten the reader, but only about half the time. Certain names in the essays are written in bold text for reasons I never grasped, and illustrations on a given page don't necessarily connect with nearby paragraphs (or bolded names), both resulting in a lot of flipping through pages to regain my bearings. It's very possible that this is all a result of my being unfamiliar with the book's subject (a similar approach to American or European comics may not have caused me so much trouble), and I hope my more subjective approach to this review makes it clear that your mileage may vary, but if the goal was an introduction to an English-speaking audience, my experience can't be that far from the norm. My guess is that the breakdown is because editorial and design conventions of art history and art criticism (publisher Thames & Hudson's usual field) don't translate well to comics, especially comics written in languages other than the book's own text, and while clearly a lot of work went into creating this beautiful book, I still came away with the disappointing feeling that I might've done a better job than its editor and art director: not something I can remember ever thinking before. 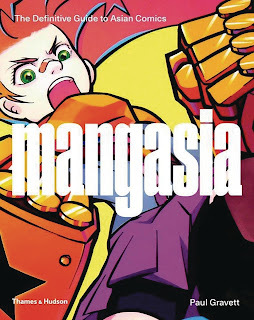 But even with all these unfortunate choices, I still believe that Mangasia is worth reading by comics librarians of any variety. For all its confusing organization and incomplete description, it does invaluable work toward broadening our understanding of the history, themes, concerns, and creators of comics from this region of the world. Here's hoping a revised second edition is in our near future!